The most common type of addiction treatment in the United States today is based on the Minnesota Model. This style of treatment is relying on 12 Step principles and was developed over 60 years ago. Despite a tremendous amount of research and new evidenced based practices very few treatment centers incorporate innovations like Neurofeedback. We will look at and review several cases studies that illustrate important advances in treatment of the chronic brain disease of addiction. We will focus on the importance of making the proper diagnosis, medication assisted recovery, evaluating co-occurring psychiatric, cognitive and pain conditions, assessing the hormonal and nutritional status of patients and providing treatment modalities like neurofeedback. Education of the family and patient is important and connecting with recovery support essential for the patient to have the best possible outcome in the management of this potentially life-threatening disease. 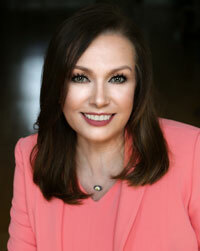 Susan Blank, MD, is the Founder and Chief Medical Officer for the Atlanta Healing Center. A graduate of the Medical College of Georgia, she completed a residency in Psychiatry and Neurology at Sheppard Pratt Hospital in Baltimore, Maryland. She received her training in Forensics at the University of Virginia, and her training in Addiction Medicine in Atlanta at the Talbott Recovery Campus. She also completed a Fellowship and Advance Fellowship training in Anti-aging and Regenerative Medicine. Dr. Blank is President of the Georgia Society of Addiction Medicine and serves on the Advisory Board of the Georgia Physician's Health Program. She is co-chair of the Medical Association of Georgia's "Think About It Campaign". She is also a past member of the Board of Directors for The Georgia Council on Alcohol and Drugs and Let's Be Clear Georgia. Dr. Blank and Dr. Lori Karan co-authored the chapter on Tobacco and Nicotine Addiction for the ASAM Patient Criteria released in September 2013. Dr. Blank is a contributor to the ASIPP Opioid Prescribing Guidelines, March 2017, and is a member of the Technical Expert Panel for PCPI Preventive Care guidelines for Tobacco Cessation, Influenza Immunizations and Alcohol Screening.